FREE Personalized Shampoo And Conditioner! You are here: Home / FREEbies / FREE Personalized Shampoo And Conditioner! Well, this is a neat little FREEbie! 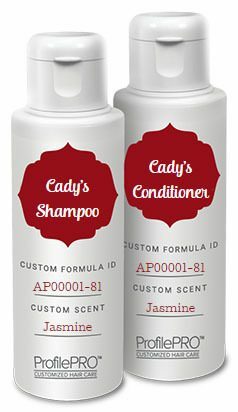 Right now, you can get bottles of FREE personalized shampoo and conditioner that is customized for you at ProfilePro! Just take the short profile quiz to let them know your hair type and preferences, and then select the trial sized bottles priced at $10. You’ll get them for FREE when you use code HAIRTREAT at checkout! I can’t wait until mine arrive!